It is the 4th of July and I am enjoying a GREAT day with Muscle Man and the Little Studs.. There are sooo many good things going on right now that I will break it down in Bullets..
My prayers are being answered, I cant give details but I could not be more EXCITED! Blessings for my friends and family fill my heart with JOY!! I am REGISTERED for the RRCA Coaching class in October!!! Yes Tall Mom will be a Tall Coach soon! The class in Portland is the same weekend as the Portland Marathon so I plan to be a spectator for a few of my buddies!! I am not sure what I will do with the coaching certificate yet, but it feels like the right thing to do. There is a 5K next weekend that Muscle Man and I plan to run. I am not in 5K shape but I am excited to get the short race season going. It will be good to have a baseline to know where I am at SPEED wise. I took a WHOLE WEEK off from running :) It was not intentional, I was busy at work and not feeling well. Allergies have hit hard and my head was foggy. Today Muscle Man, the Little Studs and I went for an easy 2.5 miler. I LOVE LOVE LOVE running with my family! Brooks was the sponsor for Rock N Roll Seattle, look at the COOL gear I scored. Visor, long sleeve tech T and more. All reasonably priced and all high qualify. High Five to Brooks. I signed up for a Virtual race!! G is putting on a Half & Half Race with 5K and Half Marathon distances which can be run 7/15-7/18, you have until 7/6 to register!! Go HERE to find out more. I have not decided which distance I am running, but I am EXCITED! There are some GREAT Giveaways in Bloggy Land: Stephanie has a Zebra Print Travel Mug from Lift Your Sole HERE ends 7/6, Running Diva Mom Chrissy's Socks HERE ends 7/8and TMB has Run u Mother shirt HERE ends 7/6... Who else is hosting a Giveaway? Leave a comment.. I had the ENERGY to do yard work today. I cant remember the last time I did yard work on the weekend, BAD I know!! I have been in Marathon training and the weather has been horrible, so there never seemed to be a good time. Today I was happily trodding away with weeding, beauty bark, trimming hedges, etc. When I was done and looked at my work in the front yard I was so PROUD! I used to love helping my Grandma in her garden and on her property, I was transported back for a brief moment. I am working on MAILING! I am really bad at sending the items you lovely people WIN on Tall Mom. I will have everything packed up and shipped out by Tuesday. That is my GOAL! I am on the HUNT for a 1/2 Marathon training plan. I hope to start with a plan and tweak as I see fit. I like to run 4 days a week, QUALITY vs. QUANTITY! I would love to get a half Marathon PR in 2010, with several Halfs in the next few months I need to get in Half SPEEDY shape ASAP. If you have a Half plan you love please leave a comment. I am HAPPY TO REPORT all of those things. What are you HAPPY to REPORT? Happy 4th, Mel! A great 4th for you, indeed! Happy to report a great 4th of July weekend spent with family that I don't get to see too often. Good for you! I am so glad you are having a great weekend! You deserve it. I wish I lived close enough for you to be my coach. You are going to be great! Terrific family reunion this weekend! Fun 5k with my friend, T.
I have a giveaway of two bondi bands. Can't wait to see what your great news is. I am happy to report that I PR'd a 5k race last night but bummed that I was one of the chosen runner's who had a bad timing chip. :( and :) all in one night! I'm happy to report that everyone has been home for 2 of 3 days - a rarity - and we've had some great swims and play together. Gotta love summer! 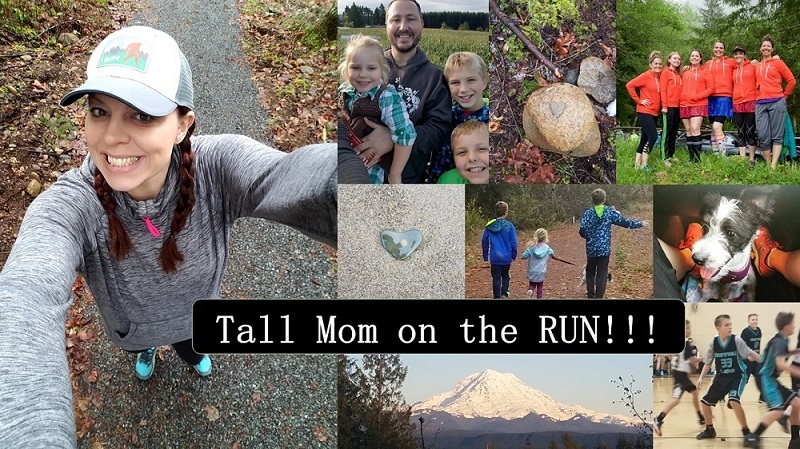 We used Hal Higdon for our half marathon and I loved it, you can tweak, change etc...pretty easily which is what we did since our littlest ones were in preschool. Excited to hear your blessings, I hate secrets:) Happy 4th Mel! Looks like an awesome weekend. Congrats on the coaching training. Glad things are going well in your world. Wish I could take the RRCA class with you in Portland this fall! Congrats on all the HAPPY news!! Hope you enjoyed the rest of your weekend. Wow...sounds like you had a great weekend! You had all kinds of happy things to report! You will be an amazing coach! I wish we didn't live on opposite coasts - I'd totally hire you! Thanks for the words of encouragement on my blog today! I'm super excited to be on my way to running again after this really long injury! I am doing RRCA training in August! Yay!!!! Do you have that book Run Less, Run Faster? I've really enjoyed using their training programs and their philosophy is definitely quality over quantity. I'm having my first giveaway. @ sets of Yurbuds custom ear buds. What a great 4th! 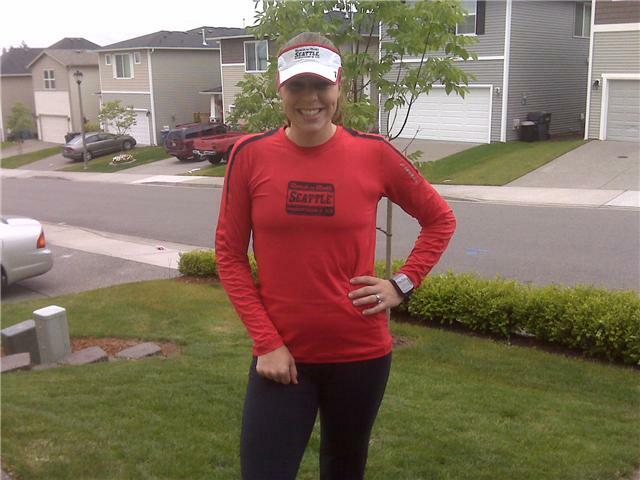 LOVE the gear you are sporting!!! Look into the FIRST "Run less, Run Faster" plan sound like something that might interest you. Hey, I just put together a Half Marathon plan for my clients. One for beginners and one for those looking to improve time. I will send you a copy of both. You have lots going on - glad you got out this past weekend and that your prayers are being answered. That's cool about the coaching and it was probably a nice break from running - the week off. For the 1/2 training, I've just gone on smart coach at runners world. i am super curious about what you are so excited about!!! =) But congrats nontheless! The back yard patio looks amazing!! Great job Muscle Man!! thanks for the reminder about the virtual race - i just committed. i LOVE brooks and love the gear you snagged. You always look adorable! yay for the RRCA coaching class. I'll be running Portland...So I'll see ya there! Great patio! !